This year has ended with a great blast and I’m pretty sure that everyone has done their countdowns and throwback blog posts, tweets and even status updates. It’s a pretty cool thing to do because you get to remember all the awesome things this year has given you. You look back at how bad you were design-wise last year and how well you’ve improved. With this, you get to assess yourself how much more you could exert and, in turn, how much more money you could earn. Retrospection also tells you what more could you learn. Seeing what you’re weak at will also allow you to see where you could trained. That is why self-correction and openness to new things is a great habit for a designer. Speaking of learning, were you able to catch some of the best web design tutorials this year? This year has given a lot of trends and knowledge that made tutorials prevalent as stars in the night sky. Well, for one thing, these tutorials will teach give you new knowledge and improve on what you already know. You’ll never know; maybe one day, the web design noob becomes the ninja. Now, let’s look back at the top 70 tutorials that rocked the web design world. Some of these, you might have seen before. Others, you might have missed. But one thing is for sure, these tutorials don’t kid when they say they will teach you new cool things. So, for those who lived under the rock last year, let’s roll! Be sure to look at the table of contents, as we have included some of great material on some design subjects that are going greatly help with your learning. The following tutorials highlights graphic designs. It includes typography and basic web mock up designs. These tutorials are aimed at making your website look better using graphic design elements such as fonts, shapes and a lot more! This one discusses the basics of typography and how to create your very first design! For beginners, this one’s recommended. Create beautiful logos using types and not worry about CSS3 cross browser considerations (which is very, very tricky, messy and takes a lot of effort). This one shall render with better quality with the smallest effort and time. This tutorial will teach you to create a very beautiful flat design portfolio landing page. Very easy to follow and tinker with! Three of the best used platforms in web design are used in this section. This is a list of PSD to HTML/CSS tutorials and HTML and CSS tricks. Make your site look better using these easy-to-follow tutorials. Yes, you will learn how to make website responsive, but this time you will be building high quality website design you can be really proud of! We throw in some business lessons, interviews and many bonuses to amplify your learning and help you get some clients as well! Watch the video to see exactly what’s inside. What you are waiting for? Take your skills to the next level right now. [tip]P.S. Looking for more responsive web tutorials? See it pays to read until the end! Talking about details, this one goes off the charts. Broken into parts, this comprehensive tutorial discusses the major facets of web design that you should know. Great for both beginners and experts. 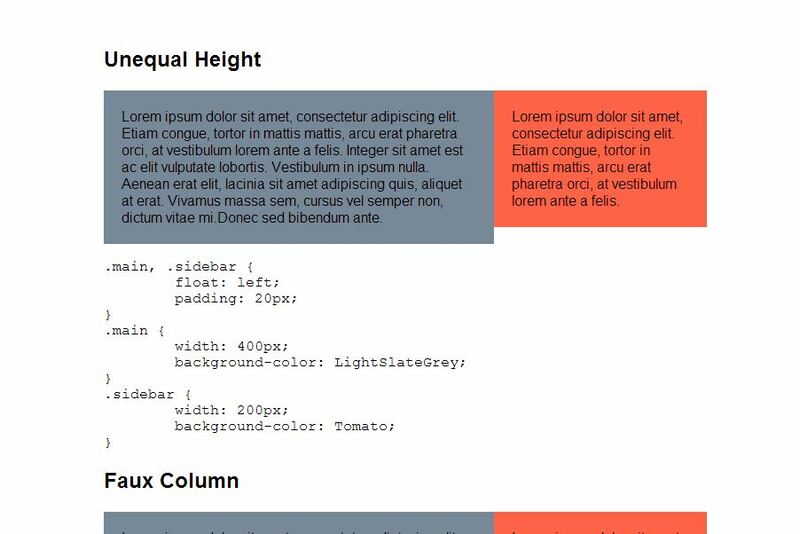 Grid systems are of great help in putting different elements in a page without becoming lost in pixels. This tutorial teaches you how to use a very simple tool (a Photoshop plugin called Guide Guide) to design using grids. Do you want to create a sliding notification bar? This tutorial is for you. Written in the simplest and most understandable way possible, you will be amazed at how easy it is to add a notification bar in your website design. SASS and SCSS are pretty new to some designers. With CSS still known as a very plausible and useful language, learning how to convert CSS to SASS and SCCS is not bad for some knowledge that you might use in the future. When you read this tutorial, you will see how these languages are both alike and different in many ways. Putting maps on your website is great, especially for corporate clients. But styling them? That’s better. Now learn how to do this through this tutorial, and you’ll be able to look at maps in a whole new way. We’ve seen earlier how could we style maps. This one is another tutorial about this. The only difference is that it pushed further as it incorporated a lot of new elements that we thought we could never place in maps before. Amaze your clients at how you could design a map just for them. What bugs most designers is unequal column heights. An OC designer will have a hard time tinkering with pixels and doing trial and error computations. This becomes a major headache for beginners as they still don’t know the tricks of the trade yet. So, this tutorial becomes a must if they need to add more to their skills. Look at this tutorial to see which of your methods is easier to execute and which produces more accurate results! It’s always fun to customize all the elements you post in your website. It gives a personal touch to it. More so, you achieve uniformity in design. This tutorial is a proof of this perk. Learn how to create a web-based video player that you can really call ‘yours’. When I first read this tutorial, I never knew that having multiple backgrounds in one div or class is possible. Well, we all have our moments of learning, don’t we? This one is a great yet simple example of this. In the early popularity of CSS3, this tutorial has done wonders for me. Being able to create tabbed contents easily with CSS? It’s a pretty amazing thing to know. I’ve talked about loading animations before and how cool they are. They make your website more fun and makes your audience do (or see) something while they’re waiting. Interested? Learn from this tutorial. David East gives a very simple and detailed explanation on how he created a custom sign-up form using LESS and HTML. It’s very simple and easy to follow. You just need basic coding knowledge. That’s all. Have you ever had any e-commerce customers? Or you wanted to put up one? Well, this tutorial is a good kick-start. Learn how to put e-commerce elements in any site using only CSS3! Do you want to create a very simple and elegant drop-down menu and search box? This one’s for you. With its very trendy design and easy to follow steps, a drop down menu could never be created this easier. “SASS is the most mature, stable, and powerful professional grade CSS extension language in the world.” So does the SASS website says. So where to learn this Syntactically Awesome Style Sheets? Nowhere else but on this tutorial! Sometimes it’s good to deviate from designing norms. A good example of this is non-rectangular layouts. It gives a refreshing look to the over-all design of the page. Give your clients and yourself a new view by trying this tutorial out. Breadcrumbs are great tools for navigation. It lets you know where are you exactly on the website and prevents you from getting lost in the deep, dark woods. 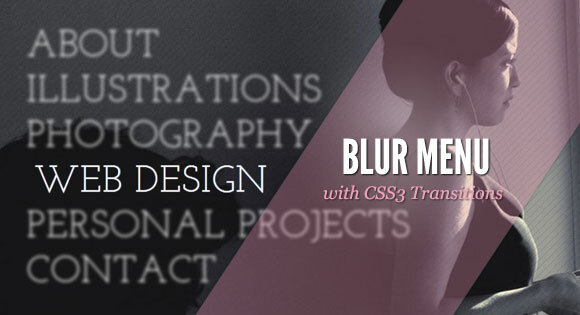 Learn how to save your viewers with breadcrumbs and learn how to do it creatively using CSS! Great for contact forms, this tutorial will help you create a simple but very useful contact form. I was amazed at how it matched with any design because of its awesome simplicity. 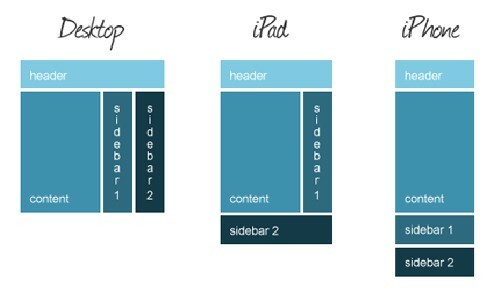 Is responsive designing complicated? Or are you just complicating things out? It turns out that, most of the time, you’re the one complicating things out. Good thing you have this tutorial to clarify. 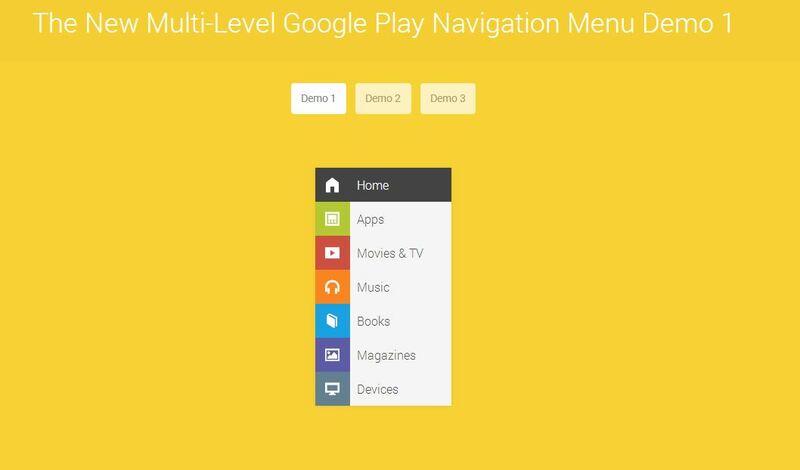 Another navigation menu tutorial proves to be brilliant as it crosses over browsers and devices with simplicity, style and sense. Great tutorial. Using one of the many grid systems, this tutorial is aimed towards teaching designers to use grids for easy styling. This method is a very great tool, especially when doing responsive designs. Email templates could attract more traffic to your website. Once you send your subscriber cool emails, they will be awed at how good you are and might even hire you because of this. So learn how. One of the greatest advancements in web design is that “back-to-the-top” button which allows you to scroll into the top of the page in a single click. This tutorial lets you create that. Put it on your website now! I personally love full screen backgrounds. They give professional and neat-looking feel to your website. Try this on your designs and your client will surely love them! This easy-to-navigate and use navigation effect gives a very clever method of presenting data in your website. Another quality tutorial for your convenience. Another amazing navigation effects, this tutorial lets you create a very cool navigation that blurs unselected links. I recommend this for designers who want to design portfolios. Who would have thought that you could do something as clever as this? I love this tutorial because it lets me understand the greatness and coolness of using borders with animations. The world surely is both flat and round as this tutorial proves that something amazing can be achieved by fusing two opposing ideas in the literal aspect. With different effects to tinker on and with this conveniently written article, you’ll soon adapt this in your creative outputs. Here’s for you guys who like to have a little bit of a challenge. Some advanced stuff! jQuery effects that will surely make your clients’ eyes pop! The list is easy to follow and comes with demos that you could download and tinker! This tutorial delves into jQuery animation basics and lets you understand these fundamentals while preparing you for more advanced stuff. For beginners, this is a yes-yes tutorial. Learn the basics of jQuery from this very comprehensive set of tutorials! With the advent of mobile touch devices, doing jQuery sliders became a little bit more complicated. As we all know, it is very easy for web designers to use jQuery slider navigations. But it becomes difficult when transforming these into mobile as the navigation icons become cluttered in the tight screen resolution. The answer to this? Make the slider touch-enabled. Does the default scroll bar bore you? Well, good news is, you could re-design them. Learn how from this tutorial. I first saw this mobile panel on the mobile version of Facebook. Well, for one thing, I knew that someday someone will do the re-creation of this panel. So, here it is! Are you into infinite scrolling? Or do you want your design to have one? You came to the right place because I will tell you where it is. It’s right in this particular tutorial. Learn how to seamlessly feed your future viewers with content. This tutorial discusses and demonstrates how you can build a sticky header bar that will auto-hide after a few scrolls. This is very advantageous because it allows you to achieve the ease of access capability of a sticky nav bar, and the convenience as well as lack of distraction in a regular nav bar. Make your sidebar and other elements on your website always visible. Avoid scrolling them together with the content through this tutorial. Do you have a client who wants to put up an online shopping website? Do you need a 3d presentation of a product you want to place in your website? This one is perfect for you. Sliders are still a thing in the world of web design. Be creative and try this tutorial out. Your eyes will pop at the fusion of simplicity and beauty at its finest. Doing a videogame website design? Or a promotional website for a movie? Try this tutorial and let it help you using Parallax scrolling. Navigation is a key element to any website. If you have the easiest to navigate design, more likely, you’ll get the money. Allow your users to still navigate even within posts using this tutorial. Are you a fan of Android or iOS scroll effects? Adapt them to your website and give it a feel of simplicity and professionalism. One page scrolling has been a think this year. With the major companies like Apple following the trend, it becomes a bandwagon design as it epitomizes the functionality of all content within one page. Dynamic favicons are cool. Period. It gives a flare on your designs and lets you own every bit of it. Create dynamic favicons by following this tutorial and I bet you’ll have a very good time tinkering with this. When YouTube first adapted that loading bar, everybody’s eyebrows went high and wondered if they could re-do it and adapt the design into their website. Well, we can. Here’s the tutorial. Great for advertisements and short descriptions, this text-rotator will make your website more creative and adds flavor of movement and dynamism into it. With the revamp of Path a few years back came a button like no other. It is very convenient and eye-pleasing. Learn how to create it through this tutorial. Reeking with googliness is the next tutorial that borrowed the design of Google play. Learn how to create this eye-candy tutorial now. Use long shadows using code? Yes, you can. I didn’t believe that too. Well, not before I have finished reading this tutorial. Read and see for yourself. Learn to recreate the behavior of side menus in smartphone applications in your website design. Both designs are suited for mobile and desktop versions. Learn how this tutorial works and become fun for both mobile and desktop users! Imaginations are pushed further as this gallery is put into the limelight. Be amazed at how simple and yet awesome the output is. This is great for portfolio designs! Draggable elements are very interactive. It lets your viewer see how your mind works by stretching your users’ imagination. Using this tutorial, you will learn how to put a little twist in your regular design. Want to put something analytic in your website? 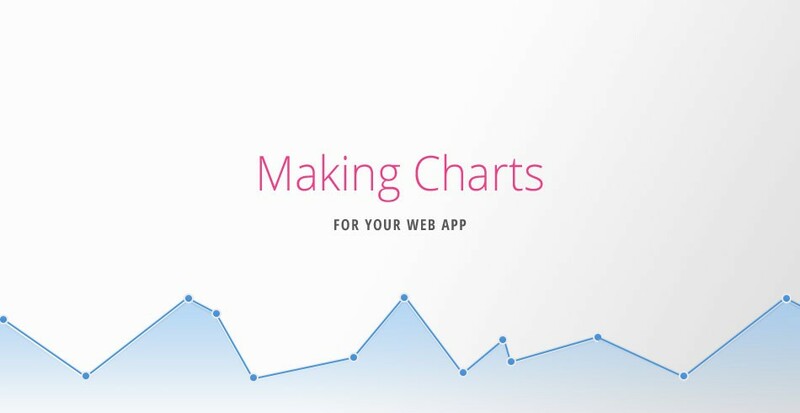 How about trying charts using jQuery and xCharts? Be prepared for eyegasms as you will be pampered with good-looking data. If you are planning to put sign-up forms, better spice it up using this tutorial. Add a beautiful password strength meter to ensure the safety of your users while adding a different look in your forms. Create a cool slideshow using jQuery inspired by iOS. The good thing about this tutorial is that it allows you to drag the images to navigate them. Refurbish your log-in page through this very simple tutorial. Give your users a new look and make your website better. 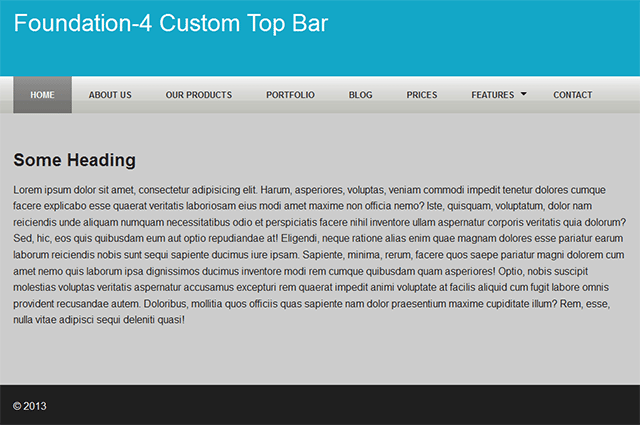 This is another cool tutorial that involves the navbar. This time, it moves a few pixels down and becomes less opaque. Maps are back on track as another tutorial is included in this list. Re-tweak your maps using this tutorial and revolutionize how people navigate in real life. This chart tutorial adds effect to the previous one as it provides with more samples and templates to choose from. Present your data using pie, line and hexagonal charts. Do you have a client who wants a gallery type design? Well, this one might help you. Using grids and tiles as navigation tools, your client will surely love your work. Showcase your posts in a totally new way using these transitions. With both simplicity and elegance, this tutorial will surely help you impress your clients, now and in the future. 3D-looking boxes are not an abomination in the flat design trend. In fact, adding a 3D effect in your designs will accentuate the message you are trying to convey. Learn how it works on this tutorial. Want to tinker more on menus? This Nexus-looking menu is great for a start. It is totally refreshing to see and amazingly easy to navigate. Try it. Hovers have never been this awesome. I admit that I was pretty impressed with this tutorial. Clever as it may seem to be, reading this will make you realize that it’s not that difficult to do after all. Another gallery tutorial that lets you enlarge the image for a better preview by clicking on the thumbnail. Perhaps one of the best WordPress plugin tutorials there is. This one introduces you to the magical world of plugins and teaches you step-by-step to become a plugin developer. Still in responsive layouts? Smashing Magazine gives an option using CSS Regions. Read this tutorial and become free from the limits posed by CSS elements. And there you have it, guys. Seventy tutorials that highlights previous year. As new year comes right into our doorsteps, read these tutorials to refresh and to learn new things for the next year will surely be a bang! More tutorials to come, more design trends to be inspired from, more clients to ask for your help and hopefully, more money to fall right into your pockets. Okay, there you have it, all the tutorials you could wish for to take a further step in to web design and developing, but before you visit all the tutorials we have prepared some material ourselves. Let’s take a look. If you have anything to do with web development, you probably have heard the term ‘jQuery’ over a million times already. Believe it or not, jQuery has risen to popularity in a short span of time and today it stands as one of the most well-loved and popular entities when it comes to developing for the internet. In this section, we shall be taking a look at jQuery in detail — its origins, advantages, disadvantages, and anything else that matters. Unarguably, the biggest drawback with jQuery is its multiple versioning. Even if you run the latest update (and fix the known bugs), you will have to choose either to host your library yourself (and continually update), or, alternatively, load the library from Google. The latter seems plausible, but it can risk incompatibility with your code as and when newer versions are released. With Microsoft on its side, jQuery surely seems to be winning the battle, especially because the AJAX control toolkit is too bulky for most people. However, if you have chosen jQuery to save time and/or make up for your lesser level of programming knowledge, getting jQuery to play fair with AJAX will give you nightmares. For instance, even minor things such as the differences between GET and POST HTTP can make you need aspirin. A super-active community provides steady development for jQuery. However, if you yourself are not active enough to match pace with the community, you will definitely miss out on some parts or the other of the rapid process of jQuery development. jQuery’s biggest attribute is jQuery Spaghetti. Basically, jQuery is a library that aims to help you with DOM and CSS selectors (it does that pretty well, mind you). However, problem arises when people start treating jQuery as a framework for client-side interaction. The outcome? A mammoth .js file, full of callbacks, generic names and of course design changes. You just have to get the version correct, and pray that you keep getting it correct. jQuery is easy to accomplish, but not always easy to implement as compared to, say, CSS. Even though it is swift, the end product may not always be fast-paced. If improperly used as a framework, things can get complicated beyond measure. Before we wind up this article, let’s take a look at jQuery Mobile as well. Regarding future plans, by early 2013, jQuery intends to drop support for older versions of IE in order to reduce file size and accomplish performance improvement. Where is it headed, then? Well, advantages and disadvantages apart, the future surely looks bright for jQuery. It does not have to face an army of haters like Flash, and despite having humble beginnings, today it commands the respect of all and sundry. Do you use jQuery in your projects? How has your experience been? Feel free to share your thoughts with us in the comments below! 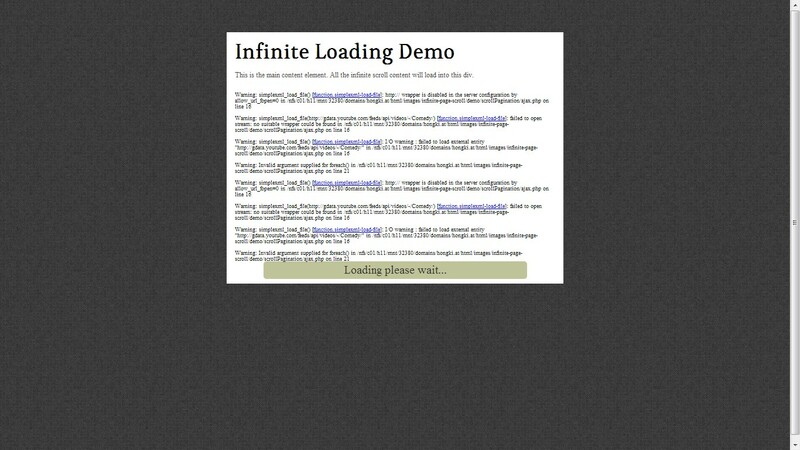 Now let’s take look at jQuery mobile. I’m sure you’ve heard about jQuery. So, its mobile version is pretty close to what you already are used to, but with a lot of enhancements for mobile screen events (like touching instead of click, and there is no hover) and browsers (this one is tricky since there are plenty of browsers and devices out there) and capabilities (pluggable components). Those who used to code anything between 2001 and 2008 (while < IE6 was pretty huge, and Firefox / Chrome were just the new kids on the browser block) faced the nightmare of cross-browser issues. I mean, if you think that putting a vendor prefix before CSS code is cross-browser, try to get things working well on IE5.5, IE6, Opera and Firefox without CSS / JS hacks. That, dear Padawan, was crazy. Back to 2010, mobile was getting bigger and bigger. So were the types of browsers out there. Each smart phone and tablet has its own capabilities and its own particularities. Try mixing that with touch oriented screens and a huge range of screen sizes. Sound familiar? jQuery Mobile comes with a huge compatibility table, with lots of devices and platforms well covered. All you’ve got to do is include their libraries, and try to stop your jaw from hitting the floor when you see the amazing features. Oh, and it’s not just about cross browsing. It also covers a lot of UI elements that are already standards out there. And if you want a little more customized look you can easily change that, without messing up functionality. Ok, now you know why this project is so great, let’s take a look at some of the overall effects, components, good practices and code that you may want to use. Important note, any “traditional” jQuery call should be placed before the call for mobile framework. data-role=”content”: the main part of your website / app. Images, buttons, actions and all the magic happens here! data-role=”button”: it’ll be useful together with elements. You may use also data-transition to define how it’ll load next page. Options: slide, slideup, slidedown, pop, fade, flip. Another cool thing is data-icon, which gives you a lot of default icons. You may also reduce its size using data-inline=”true”. data-theme=”a/b/c/d/e”: Define color scheme used for elements. data-role=”listview” + data-filter=”true” : Awesomely easy way to create searchable lists. Really useful! data-rel=”dialog”: is an anchor attribute that makes target page opens as dialog box. data-add-back-btn=”true”: add this attribute to your page and you’ll have a “back” button. Cool, huh? Probably no method will beat @font-face. So I suggest you go to Font Squirrel and generate your font files. You should do this all the time, actually. But when you are designing for the mobile world, even a few kb’s makes big difference. So save your user’s bandwidth and compress not only your code, but all your images. JPEG mini has the best compressing service I’ve ever seen, and it’s quite easy to use, you should give it a try! We talked about just a few of many jQuery Mobile’s components. So it’s more likely you won’t be using them all. So, how are you planning to use jQuery Mobile? Have another cool tip to share? Don’t be shy and comment! No, we didn’t forget anyone who is just starting out, so here is the introduction to responsive design. Responsive Web Design is another important concept which can be called “planning”, but it has a name of its own because it is widely used nowadays. A few years back we didn’t need to think about mobile phones, tablets and different screens, because there were not too many of them – or not at all. Well, the IT world has changed since then and now there are a bunch of screen sizes and platforms designers need to deliver for. Responsive Web Design is the concept of a website which should adapt to fit any device that chooses to display it. Not only mobile devices, but also stationery computers and tablets. According to Ethan Marcotte, who wrote an interesting book, Responsive Web Design after starting this whole concept, there are three parts to this kind of approach: a flexible grid, flexible images and media queries. This means old fixed-width layouts do not fit the new web anymore and the way we work needs to be changed. This is why, today, we will review the most important parts of the new approach and talk about each of them. As a designer, the faith of a project is always in your hands. You need to understand how the layout will work and what Responsive Web Design means in order to be able to take on this approach. The grid system used in magazines, for example, needs to be used in Responsive Web Designs as well. It is impossible to design with this approach without having a grid system. Now, in order for the layout to be flexible, you need to give the measurements in percent, not pixels. This means that a 50% width will always be half of the screen the website is shown on, regardless of its size. This is where flexible and responsive web design starts from. If you wish to use background images, it is OK, but you will have to properly select the right one. Photographs, illustrations or any other images that can’t be tiled are not proper for fluid grid systems. Therefore do not use horizontal gradients either, because they do not scale well horizontally. The texture borders will also suffer and look quite awful. If there is something you could use, then textures easy to tile are good, such as grunge, grain and so on. When you design with the responsive approach you have to scale everything down. This means the fixed-width approach you used until now has to disappear, exactly like the horizontal scroll. Instead, try to insert every information or web element in such a way that if you resize the browser width you will still be able to see every piece of information. With a flexible wrapper made in percent instead of pixels this is possible. Most of today’s webpages are not flexible and this damages their chances of being properly shown on a mobile device. Working in percent is the same as in pixels, there is not much of a difference and you don’t need to learn other properties or CSS selectors. Working in percent is also simpler, because it is quite clear what width: 100% means. Regardless of the dimensions of the screen, the mentioned div will always be at a maximum width. If instead of percent you would have had pixels, then regardless of how the big the screen would be, the div will always be at 100 pixels. On an iPhone this is a lot. On my computer with a screen of 1600×900 resolution this is nothing. You see the difference? It is just more logic to work this way. I am sure you all know what these media queries mean. But to explain the concept of modules better, you can take a look at the following image. This basically means that you have to consider the way your layout is going to be, by thinking of the platform you design for. The main problem on the internet today is that designers and developers do not think of more than the queries for desktop and, maybe, for iPad. Nobody thinks of the iPhone screen when designing a webpage for desktop use. These modules need to be resized and moved when an iPhone browses through them, therefore the design has to be flexible. By using the media queries properly this is possible. In the end of the article you will see a list of further resources and by reading those you will find out more about the media queries and how to use them. The main idea behind this concept is that the modules change their place and size based on the screen size that the website is shown on. 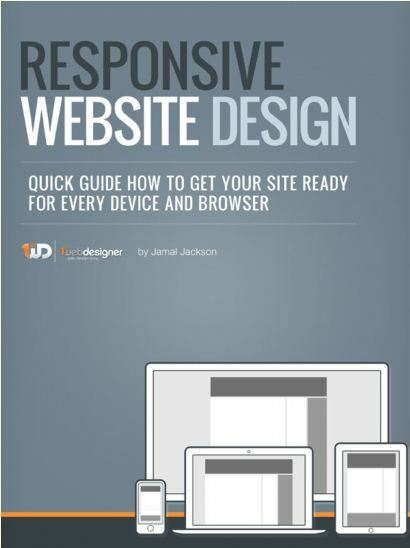 You can learn more about Media Queries and everything you need to know about the topic to get you started by reading our E-Book “Responsive Website Design“. It covers all the basics along with great examples and advice that you will need to make your website ready for any screen size and mobile device. Grab your copy now! The reason behind the internet not having flexible designs is the designer’s lack of knowledge about this issue. Therefore I always believed a designer should also be able to code HTML & CSS, because by knowing all the potential problems, you can also design in such a way that you avoid them. I hope that by reading this article the graphic designers will understand there is a big need of flexible layouts on the web nowadays, as this changes and will continue to change and grow for many years to come. With the addition of HTML5 and CSS3 coding flexible layouts just got a bit easier, although the new mark-up language is still in development and experts say it will always be, so we can’t count on it to be done too soon. The amount of information given is also something to think about, because a desktop website should have way more information and elements than a website designed for portable devices. There are very many things to think about before going responsive on the web, but it is also therefore the internet grows and becomes more and more important. With such a big amount of decisions to take before even starting to design, it should be clear to everybody that designing responsive is a challenge for even the finest experts out there. To find out more on this topic, simply follow these recommendations. You can also see more examples by accessing the last link. Now let’s go deeper in web design. Balance is an important concept in web design. To create balance, one must know how to use symmetry and asymmetry to create beauty and contrast. These tools are integral in creating a unifying and aesthetically pleasing web design. It is important to understand this concept properly before you use it. We see beauty in things or people who are symmetrical. Symmetry is always a factor in aesthetics and beauty, but what does it really mean? Symmetry is the sense of harmoniously pleasing balance and proportion. There is balance of similarity in an object, proven by geometry or physics. Gravity is an important factor in natural symmetry, that’s why most things in nature evolve towards symmetry. That’s why we see beauty in symmetry. The most common type is reflection symmetry, also known as bilateral symmetry. Basically, this means having ‘two matching sides’. Which means that if you fold the object in half on its median axis, both sides have essentially identical halves. Nature is filled with examples bearing bilateral symmetry. Butterflies, leaves, sea life, etc. exhibit this form of symmetry. Almost all plant and animal life exhibit reflection symmetry, only a few do not. Of course, bilateral symmetry in nature is only approximate, and do not perfectly match up when folded on the middle axis. One perfect example is the human body. The left and right halves of the human body perfectly mirror each other. Internally, it is not the case, as body organs often do not mirror each other. There are many types of reflection symmetry, such as horizontal (most common in nature), vertical, diagonal, etc. Asymmetry, on the other hand, is described as the absence of symmetry. Compositional balance can be achieved in asymmetry. Asymmetry is also common in nature and biology. Most of us are either right-handed or left-handed. We are also either left brain or right brain dominant. Our internal organs do not perfectly match up. Asymmetry creates energy and tension, while symmetry is static and orderly. There is a feeling of movement in asymmetry, that is why it seems more interesting in art and architecture. There is freedom in asymmetry, it is not contained or inhibited, unlike symmetry. On the downside, symmetry can be tiresome to the eye. If not done correctly, it can look messy or confusing. Balance is integral in web design– thus the proper use of both terms, symmetry and asymmetry, is important. Symmetry in web design is often discouraged because it makes the layout look boring and static. There is a lack of dynamic energy in the design, which may not hold the viewer’s interest. But symmetrical web design isn’t always that bad. It just depends on what your objectives are. Symmetrical web design does have its own advantages. Symmetry in web design gives order and balance. It looks clean, which is important especially if the website is professional and an information vehicle. Asymmetrical web design is interesting and dynamic. Symmetry helps us remember, while asymmetry grabs interest. A rather witty example to show symmetry in web design. Duuel is dedicated to finding the finest designers-slash-gunslingers, who can handle a duel with other fellow designers. It shows the best of talents dueling against each other, thus it is only right to use reflection symmetry, showing the equals of talent and intellect showcasing what they have to offer. Another form of symmetry, which is rotational symmetry, can help create rhythm and flow. It directs the viewer’s eye on where to start and where to go next. Translational is another type of symmetry, wherein an object is repeated across a plane, still retaining its same orientation, size or form. If you know about the Gestalt principle, you’ll already be familiar with the idea of our brain being fooled into leading us where it wants to go, and also for creating balance in our head. Duplos is a great web site that makes use of asymmetry. Despite the fact that none of the elements mirror each other, it makes use of compositional balance. That’s why the web design still looks beautiful and interesting at the same time. You can also combine both symmetry and asymmetry. You can create harmonious balance by integrating symmetry and asymmetry in your web design. Use symmetrical factors to make layout look professional and sleek, where information is placed to make it easy to remember. Use asymmetrical elements to grab attention, where viewer interest is important. A perfect example is Google’s new website. We are all familiar with the old Google website. It is perfectly symmetrical, making use of white space, and with no use of any creative elements whatsoever. It’s a very useful website, but nonetheless quite boring and static. Now the web site gives you an option to make design changes, where you can choose from a variety of themes and images, even your own Picasa pictures. The Google logo is now white instead of the familiar multi-colored logo. Everything else is just the same: the links, the Google logo and search bar in the center. The new site has married symmetry and asymmetry quite successfully. Asymmetrical objects are more outstanding visually than symmetrical objects. For this, the general layout and background should be visually passive, thus symmetry is important for these elements. Asymmetry should be used for individual designs that are meant to draw attention and break the monotony. Symmetry is great for the basic layout structure. Repeated elements create a calm and balanced space. Translation symmetry can create balance, at the same time maintain the space for the text and images. Asymmetry is great for grabbing the viewers’ attention. Too much symmetry is dull, as what we have displayed countless times. To make your web design layout more interesting, add a few asymmetrical objects here and there, to grab attention and wake the sea of monotony. Asymmetry is heavier visually, so it directs the viewer’s eyes to the intended area. With asymmetry, compositional balance should be in mind at all times. Yes, asymmetry is interesting, but it can also look unpolished and unfinished. Since the different elements have different weights, be careful how you arrange your elements so they look perfectly balanced on all sides. This will control your design flow, thus the end result will look beautiful, interesting and polished. We have an eye for knowing what looks good or not. We have been trained, innately it seems, to see if there is visual balance or not. If the design looks too cluttered, too boring or too confusing, it probably is. Don’t over-analyze the web design as a whole. You are an artist, but remember that the majority of your viewers aren’t. Do not over style or over think your design. Just look at your design as a common person. Avoid confusing your layout so that the flow of the information and design goes smoothly. Cause we want to help you get even better as web designers, the next section is about minimalist design and how can that make you better designer. Ready? Okay. Our target as designers most of the time is improving ourselves and our techniques. There are many ways of doing this. You can read books, find an internship or simply learn a lot by example from the internet. But there are some other ways as well. You might not believe it, but by only designing minimalist layouts you will become a better designer. You might ask yourself why, therefore I thought of putting together some ideas to try to convince you that this is also a good way of improving your skills. Minimalist designs have been with us for quite some time now, emerging from nowhere a couple of years ago. It is easy to spot all over the place as everybody longs for such a design and everybody looks to have it. People pay lots of money for revamping their websites and minimalism seems to be everybody’s direction right now. I do believe designing minimalist websites improve your skills because there is a reason why minimalism is popular. After more than 20 years of cluttered web pages, Flash animations, large Photoshop graphics and so on, it’s time for minimalism to shine. It is indeed time to only show the information which really needs to be shown. That is if you are a good designer, obviously. Not everybody can properly design in this style – but this is a total other discussion, so let’s get back to our topic. Minimalist designs bring in a friendly environment without clutter and confusions. Web pages are now easy to look at and are quick to analyze even by an untrained eye. After so much time of the old web era, people kind of had enough with web pages that were nearly impossible to grasp. So there is indeed a reason why minimalism is so popular. But can it indeed improve your skills? One of the elements which stand out in the new web era is typography. It is also probably one of the most important elements on a website. Text becomes an element on its own in today’s design and all of us have to work hard to achieve that perfect balance. It can be picking the right font, the perfect size or a good contrast – every one of these plus many others are crucially important in perfecting your website’s typography. Unfortunately, although it is clearly important, typography is something that is often neglected by designers. Choosing the perfect font takes a lot of time and many designers simply do not have it (or do not want to spend time on it), therefore Arial and Helvetica seem to fit every website. Well this might have been true a few years back, it is not valid anymore. Learning to properly work on typography as an element of minimalist design will definitely help you achieve something not every other designer can. Don’t just choose random fonts. Play with them, have a palette of 10-15 and switch them around until you will get the desired effect. Another asset of the minimalist design is the main element which is always in focus. As mentioned earlier, there is no place for clutter or any other elements which are not necessary to the website’s target. This makes designers choose only one element and focus on it. Putting the whole focal point on one element is always a challenge, but by doing it many times you will find this is a very useful skill. Being able to make something stand out, and at the same time make the other things visible as well, is not something every beginner designer can do. If you ask me what a good designer is, then I will tell you that a good designer is the one who can put elements in focus and forget about the rest. Just because you can fill the whole web page with things doesn’t mean you are a good designer. When designing minimalist sites you need to focus on everything, even if it is a small pixel. Because they are so simple, it is easy to notice flaws in it, therefore designers need to close in on perfection and make every single pixel look good. If there is one element that looks bad on your page, it will stand out. By designing in a minimalist way you will learn to be “pixel perfect”. There is no other way of creating a good minimalist design. Many minimalist designs are built on a grid system, although it is not always easy to spot it. By designing like this you will also learn to use grid systems while designing and coding. 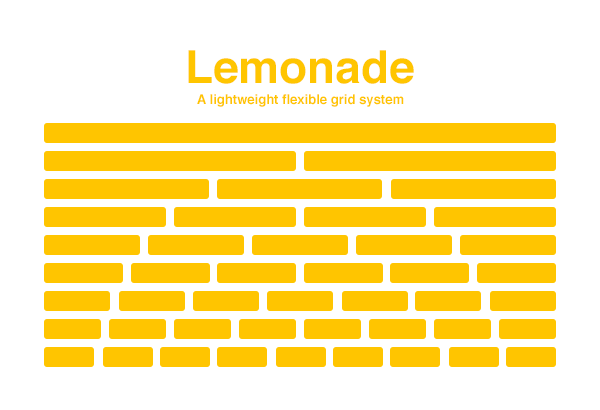 Grid systems are something I am in awe of and I think you should be too. They make your website look so much better and organized that it is almost impossible not to like it. There is no minimalist design without a lot of negative space (also called “white space”). New designers are afraid of using it because you kind of need a lot of visual experience in order to make it work well. Not every piece of your page needs to be filled in with something, but this is a concept not everybody fully understands. The faster you learn and acknowledge it, the better you will be at designing minimalist layouts – and the better your skills will be. The reason behind us using negative space is that minimalist pages only contain few elements – so the rest of the space needs to be filled in with something. In this case, because we want to avoid clutter, we fill it with the background color. Why would knowing how to properly use negative space make you a better designer? Because this concept is rather new and being able to properly use it everywhere will give you an edge over the others in the business. It is not only about being pixel perfect. It is also about incorporating as few elements as possible while also conveying the wanted message to the visitors. This forces us to get every small element right. You do not want anything to stand out from a negative stand point and you want every element to express something. Every element has its purpose and doing a perfect job means you can’t remove any more element without affecting the site’s goal. By this I mean you should know the work you have done is the best you could come up with. You might meet some clients now and then who, only because there are way too few elements on the layout, are not willing to pay. This is the moment when you will need to explain them why that specific layout is good for them. Knowing the strong points of your work is a skill you need to learn and designing minimalist layouts will help you achieve it – with a bit of help from difficult clients though. It might not be a skill you will use too often, but it will come in handy in your freelance career for sure. Only knowing what minimalist design means doesn’t make you a perfect designer, just like only knowing theory doesn’t necessarily mean you can also put everything into practice. In other words, there are some skills which you can get in two ways: the hard way (reading books, spending money on conferences, spending too much time on research) or the easy way (learning by doing). I have tried this myself and the conclusion is incredible. Learning is way faster when you do it by actually working. By following the advice in this article you will find yourself in the middle of a win-win scenario. You will learn to design better minimalist layouts and will also gain helpful skills for your career. Until next time! What do you think about the topic discussed here? Do you think it is easier to learn by doing, or in some other way? Now let’s create really cool jigsaw puzzle. Almost everyone, at one point during childhood, has played jigsaw puzzles. Today I am going to show you how to create a jigsaw puzzle using jQuery and PHP. Lets start creating puzzles. I know that you must be waiting to see the puzzle in action. I am not going to keep you guessing. Here is the sample demo of the puzzle and download of tutorial files. Now you got your wish. So lets move onto creating the puzzle. First thing we have to do is choose an image for the puzzle. Only jpg images can be used in this example. I am going to use the 1stwebdesigner header image for the puzzle. Once you choose the image it has to be split into smaller images to create the puzzle components. There are a lot of online tools available for splitting images. But I am going to use my own php code to split the image. The purpose of this tutorial is to make the puzzle. So I am not going to explain the whole PHP code for splitting images. I’ll just explain the necessary configurations. First you have to provide the name of your image in the $image_file variable. I have used puzzle.jpg as the name and it should be on the same path as the file which contains the above php code. In line 8 you see the variable $split_size. It is defined in pixels and you can change the value if you want. I have used 150. So the image will be split into parts of 150px * 150px images. Also make sure total width and height of your image is a multiple of 150. If it is not a multiple of 150 some parts of the original image will be removed when split. Then in line 54 you should specify a folder for the split images to be stored. I have used the folder name as images. Now what you have to do is download the tutorial files first. Then copy it to your web server and give necessary permissions to folders. Then open the split.php file and make the changes mentioned above or keep the default values. Once you execute it in the browser you will get a output like the following. You should keep both Winning String and Load String as shown in the above screen. Now we are done with the image split. So lets move onto the next section. I have already created images for our puzzle in the images folder. Now we have to create the puzzle by loading the puzzle images. Before that we need to enable Drag and Drop support using Jquery UI library. So I’ll show you the necessary files to be included. I have downloaded and included the necessary files of jQuery UI Library in the tutorial files. You can use the following code to include the files related to our tutorial. In the code you can see the file called jquery.ui.sortable.js. It is used to handle the drag and drop and then sort the items inside the given container. This is called Sortable in Jquery UI library. Once you make an element sortable, you will be able to both drag and drop items inside that element. You can make item sortable using the following code. Now I am going to display the image parts as puzzle. We can use the following PHP code with small configurations to load the images. This code is located in puzzle.php file on the project folder. You can run the puzzle.php file in your web server to directly execute the demo. Now get ready with the Winning String we created earlier. First enter the Load String we generated earlier into the variable called $image_names. Keep it as it is if you are going to use the default demo. Each time you change the image of your puzzle and split it with the split.php file, you have to assign the Load String here. Then we have variables called $new_width and $new_height. These values should be defined according to the number of parts in your puzzle. We created 150px * 150px images and we have 6 images horizontally since original image I used was 900*300px. So $new_width should be 150*6 = 900. Also we have 2 images vertically. So $new_height should be 150*2 = 300. Configure those values according to size of your image. Also $split_size is set to 150 since we are using 150*150 images. Then we load all the images for the puzzle inside unordered list. You don’t have to do anything there. Now we have completed displaying the puzzle images. You can see the puzzle on your screen and try to drag and drop images. You must be wondering why the puzzle is not working. That’s because we haven’t made the puzzle sortable yet. That’s where the magic happens. So lets make it sortable. Include the following code snippet on the head section of your document after the js and css files. Now you can drag and drop the images and you will be able to see that images are changing in the puzzle. But there is no way you can check whether puzzle is solved or not unless its a very simple one. So now I am going to tell you how to check whether puzzle is solved using a very simple method. Each time you move an item in the puzzle the update function will be executed. First insert the Winning String we got earlier when creating images, into winningString variable. Then the code will get the current positions of the images in the puzzle and creates a string with current item order. Next we check whether current string matches the winning string and displays the winning message. We have completed our tutorial on creating puzzles and now you can enjoy creating and solving puzzles. Have you tried fixing the puzzle yet ? You might have done it pretty easily since only 12 parts are available in the demo. But when the number of parts increases it will be very difficult unless you find out the correct method. If you are a designer or developer who has knowledge in working with HTML DOM, you will be able to find the correct method. Drag and drop images a few times and see how the images are positioning. Then try to match that with how the HTML DOM works when you add and remove elements dynamically. I am sure that you will be able to figure it out. So you can learn about the DOM while having fun with fixing puzzles. Let me know if you figure it out using the comments section. Now we have completed creating a basic puzzle using jQuery drag and drop features. What we did was manually create image parts using some php code and including those parts of the puzzle. You can extend this by allowing users to upload images and create the image parts dynamically. Then allow the users to select the puzzle from a dropdown and fix it. So you will be able to create puzzles out of any image. Sounds good right ? Here is some more functionality you can include in your puzzle. 2.Save image names in a database table with correct order and provide a score on how many parts have been completed inside the given time. You can extend these features and create a puzzle site for users very easily. Let me know if you have any questions regarding using these puzzles or extending features. Use the instructions in the project files to execute the demo properly. Hope to hear from you. We really hope that this article about tutorials will be your to go place for learning new thing, as we wanted to include the tips on how to become even better not just show you where you can learn them. Until next time, keep on learning and of course tell us you opinion.